Nashville, Tennessee is known as Music City USA, Athens of the South, City of Parks and the Third Coast. These nicknames show the diversity that Nashville has to offer its guests. A delightful blend of the Old and New South, Nashville offers a down-home charm and a country melody that is sure to capture your heart. On this tour, you can relax at the hotel, tour on your own or partake in the optional activities, dining and shows. Today our southern journey takes us through the Virginia countryside and the spectacular Blue Ridge Mountains on our way to our first overnight in Dublin, Virginia. We will continue our travels to our lodging at the Gaylord Opryland Resort in Nashville, Tennessee, which offers all the excitement and energy of Music City under one spectacular roof! The resort offers an extraordinary selection of dining, shopping and recreation options that create the perfect setting for a complete getaway. Enjoy the indoor gardens, cascading waterfalls, indoor river, spa and fitness center. *Today's optional activity is available for an additional fee of $50 per person. This evening's option will include dinner and a show at Nashville Nightlife Dinner Theatre. Come and experience a celebration of Country Music from both past and present. Today spend free time as you wish or join us for our optional activity. This evening we will have free time in downtown Nashville. *Today's optional activity is available for an additional fee of $43 per person. We will board the coach for a sightseeing tour of Nashville, viewing the Bicentennial Capitol Mall State Park and visiting the "Mother Church of Country Music", Ryman Auditorium. Today spend your free time as you wish, check out the spectacular hotel or join us for one or both optional activities. *Today's optional activity is available for an additional fee of $73 per person. We will board the grandest and most spectacular floating musical palace in the world, the General Jackson Showboat. Enjoy a great buffet lunch and see a spectacular musical revue in the breathtaking Victorian Theatre. *Tonight's optional activity is available for an additional fee of $65 per person. Tonight we will be part of the thousands of fans from across the nation and around the world that have made the pilgrimage to the world-renowned Grand Ole Opry. 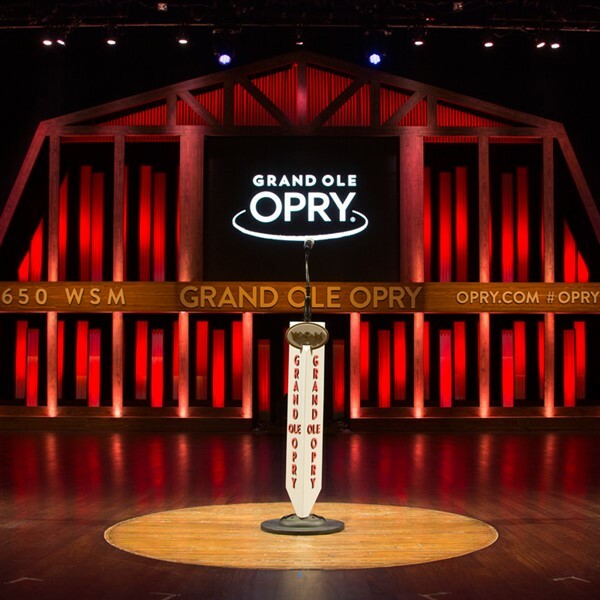 The Opry House seats 4,400, making it the largest broadcast studio in the world. Stars like Jim Ed Brown and The Four Guys as well as the hottest names in popular country music from Garth Brooks to Reba McEntire have graced the stage. There is not another show like it anywhere! We begin our northward return, stopping first at The Hermitage, the 625-acre estate of Andrew Jackson. The Federal-style home, built in 1821, still retains many of the original furnishings and fixtures, including nearly all of President and Mrs. Jackson's personal belongings. The estate also has an early 19th century garden, where both are buried. Be sure to stop in the visitor's center and museum where many Jackson family exhibits are displayed. Following our visit, we will continue north to our last night's lodging in Virginia. Today we will head homeward with an early evening arrival. This special tour will leave us with many wonderful memories, not only of the Country Music Capital of the World, but also of the many friends we've made along the way.